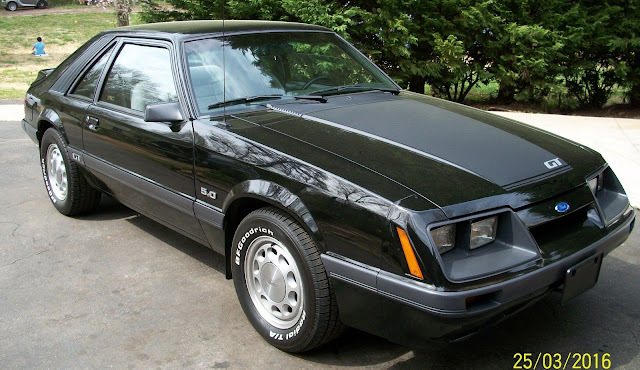 The Fox-body Mustang was such an improvement over the bizarrely good selling Mustang II that it can only be a matter of time before the Fox becomes collectable, but I just don't think we have reached that time yet...or have we? They say that cars don't become collectible until we forget how truly horrible they were when new, and frankly I've all but expunged any memory of my time in a non-turbo 4-banger Fox, and this next car is what I think will be valuable when prices go nuts. 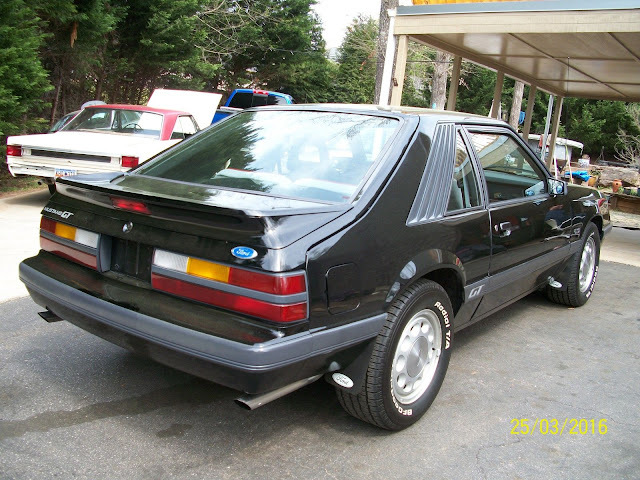 Find this 1986 Ford Mustang GT here on eBay with $11,900 buy-it-now or make-offer located in Taylors, SC with 4 days to go. I really don't think it's time to slick your mullet in a greasy pony tail and get in your best blue jeans and high school Letterman jacket (honey, I told you it still fits) to celebrate with your family at the Sizzler (honey, I told you that collecting them Moostangs in the yard was gunna pay off), but if you'd have offered me a barn full of 912s about ten years ago, I'd have passed (honey, can I buy a buncha these volks wagons...awww shucks), so I'm no Warren Buffet when it comes to the classic car market. But Warren Buffet probably gets chauffeured around in Lincoln Town cars, so who is he to disparage the Fox anyway!! Perhaps the era of the Fox is upon us -- and we will look back at these days and reminisce about $10k Foxstangs. Remember how you could pick up a 5.0 Mustang that made 225 horsepower and 300 ft-lbs of torque with a 5-speed manual gearbox for cheap? The cloth seats on the inside look in good shape, as does the rest of the interior, and it should be in good shape given the low (56k) miles on the odometer. The seller describes it as "Needs Nothing MINT!" and if you are going to collect Foxstangs, this isn't a bad way to start. These are definitely appreciating now, good ones at least. This is pretty close to the best of the Foxes, to my eye. GT package without the add-on body cladding that made the later ones less pleasing to my eye. Fabulously easy to work on. Like DT says, this probably will look like a great opportunity in hindsight. Buy it, enjoy it, maintain it. 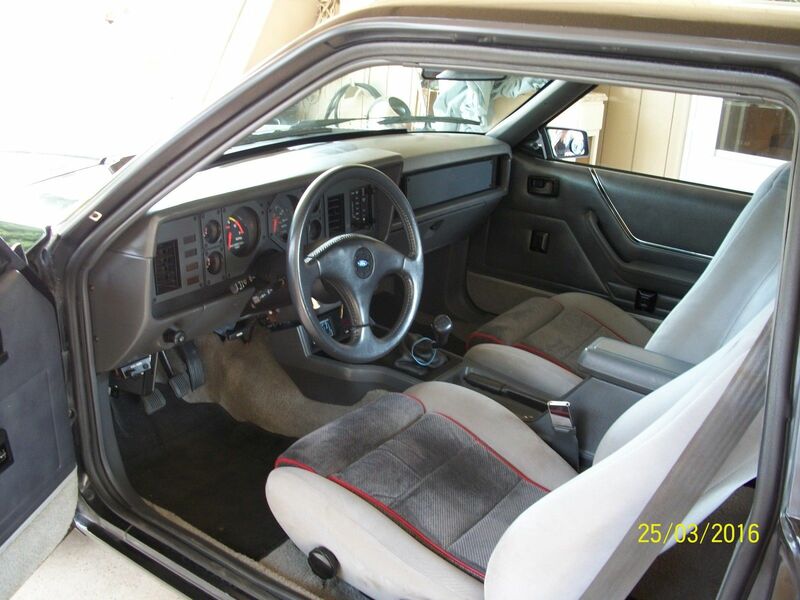 In '87 it got a fairly extensive remodel, with a new dash, a new nose, etc. There's various mechanical variations over the years but - it's a Fox, put what you want in it. The controls worked better on the later dash, but it was mostly hard-plastic and the look was a cheapened period-Japanese that hasn't aged well. The new nose was arguably prettier, but perhaps the most important point as a driver is that the four-eye cars will accept off-the-shelf H4/H1 headlights that can be made to fry the nuts off a grasshopper at 1320 feet where the late 'aero' lights are sucky 9004 bulb and nothing else. So, yeah. Nice car, right year. But find me a blue one. "GT package without the add-on body cladding that made the later ones less pleasing to my eye." Couldn't agree more, the clean look is good for the fox. Jeez, this looks good! I had an 88 Notchback ex state patrol car it was alright but really cheap horrible build quality it was a bargain @ the time only reason i bought it sold it for what i paid for it 3K. Just needs some smoked GTS headlight covers and it would indeed be ready for cruise night at that Sizzler you mentioned. I do love the way they did the tailpipes. As a kid, I remember my uncle being able to shove tennis balls in the pipes of his '86 GT to frustrate the dogs. You couldn't do that on our Colt Vista! I'll pass on the smoked headlight covers, but clears would be okay. I'm inclined to think that a Fox Mustang is one of those few cars where a decently modified example will probably be worth as much if not more than an original. It's like the Datsun 510 - no one remembers it as a grocery-getter slug, they want an Alfa/2002-killer, but it's got to be done right. So I'll hoard my two sets of original Japanese Hinodex '95 Cobra R 17x9 wheels and all the Griggs suspension pieces and wait for that perfect blue '85-86 GT. This sold for the buy-it-now price. What a great car and my first of three 5.0 Fox body cars was an '86 that I'd added the complete Ford Motorsport SVO GT-40 engine kit + exhaust. LOVED that car. The OEM Speed Density system didn't really like all the adds so a friend converted it to Mass Air and it ran like a champ. The '86 short block was bullet and actually came with flat top pistons. After he installed the Ford Motorsport E303 cam (.500 lift) I was told that it would only work with a 1.6 rocker arms, but my buddy (a Ford tech doing the work) swore the SVO 1.72 rollers rockers would work and get some added grunt. He was right. With that set-up, plus the GT-40 heads and upper/lower plenum the car ran like a scalded ape and was totally problem free. Had that set-up for LITERALLY 50,000-ish miles with countless street races + it was my daily driver and had zero problems with the car... not one issue. Car ran 12.6's on DOT legal Hoosier tires and that was 24 years ago. 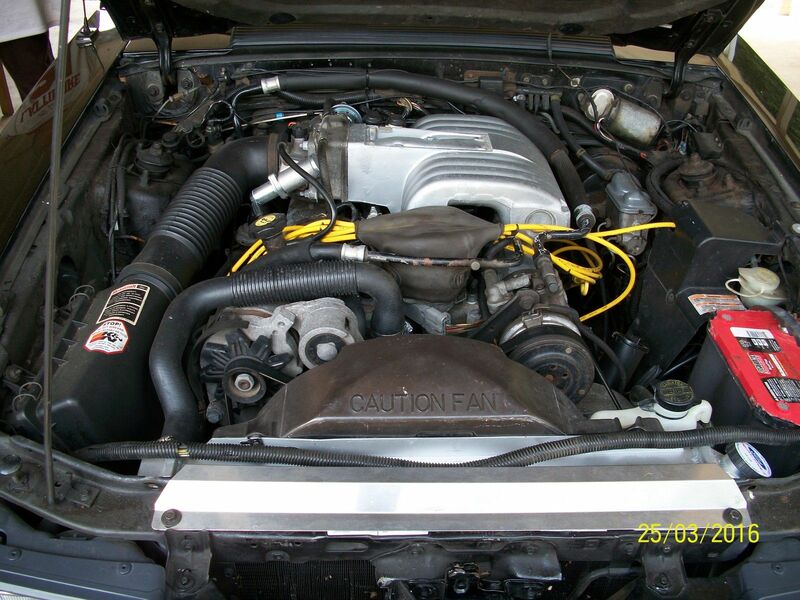 Car was actually featured in 'Muscle Mustangs & Fast Fords' magazine. Would love to stroll down memory lane in that mag, but the ex-girlfriend saw that they went in the garbage instead. Ugh!